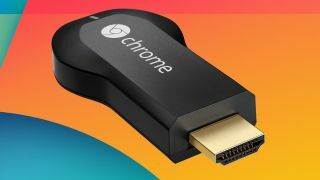 Chromecast recently broke out of the States and made its voyage to the UK and according to a new discovery, Google's got plenty more treats in line for its streaming dongle. After a bit of digging, one Reddit user has unearthed some new features that Google might be planning for its device, including a rather handy weather forecast. The day's forecast will handily be displayed on the home screen so you can plan your outfit for the day after your morning bowl of Netflix. The same Redditor also found another bit of code that suggests Google is planning to let users put their personal photos on the home screen too. We've contacted Google for more information and will let you know if we hear anything more official. Google Chromecast - good value, but is it worth adding to your TV?